After countless efforts including hiring other trainers to assist us in training our three and half year old German Shepherd Bear who exhibits extremely high levels of protective and dominant/working dog behavior traits we finally found Glen. 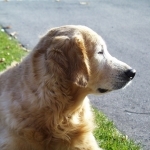 Prior to enlisting the help of Glen, we were unable to have any person other than those who Bear knows well enter our home without him barking and asserting his protective Instincts. Within the first lesson Glen was able to provide us with the necessary tools and guidance to eliminate the behaviour. 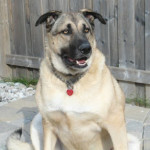 Glen’s instincts, experience and ability to understand canine behaviour allowed him to educate and use hands on techniques to train us to better to understand our dog. Glen helped us achieve the leadership position in the house and gave us the tools we needed to be better owners and handlers for our beloved family member Bear. I would highly recommend anyone who has a dog to enlist the help of Glen. Especially anyone who has a working dog Breed. He is highly skilled with these types of Dogs and their temperament He provides dedicated, hands on training with extremely quick results. We learned so much but realize that this is just the beginning of our lifelong journey of learning and training with Cooper. Your love of dogs comes through in all your actions and messages. Thank you! Just wanted to let your team know that I received the ET-302 e-collar, checked out videos on line and have been training my dog for a week or so. The results are astounding! He is a smart dog and normally very obedient except when he gets outside off leash. He sometimes “loses his mind” with excitement and would just take off on me. Now, he is amazing. Always looking for me to catch up and when I call him, he turns so fast he sometimes slips in the snow. He can’t obey fast enough. It makes walks so much more enjoyable – I can let him off leash in the woods on our property and trust that he will be safe and easy to control. First session went amazingly well. We have a German Shephard rescue that showed huge anxiety around other dogs. Glen had us working through it as soon as he saw us. It was an incredible improvement in minutes of him working with her. So far after the lesson, three rabbits, two cats and about eight dogs on walks (two not on leash – special thanks to those owners for not managing their dogs). There was such an amazing change. Can’t thank Glen enough. We have lots of work to do still, but very confident with Glen’s training. We are on the right track. Thanks!!! Glen is a great dog trainer. 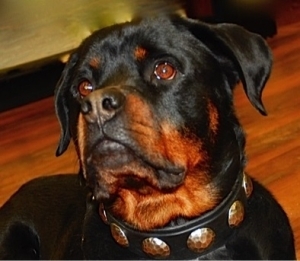 His extensive experience and innate understanding of dogs makes training with him both informative and rewarding. His philosophy of teach, treat, repeat, repeat, repeat, pays off and this is evident when you watch the dogs in his training classes. Glen is respectful and understanding and training with him is always a good day. Thanks for all the help Glen!! I started training with Glen a year ago after realizing my rottweiler service dog, Madden, and I had become a bit sloppy and developed a few bad habits. After our initial six weeks with Glen, I was a committed member of TEAM-K9. Realizing how much we could accomplish, Madden and I became the first team in TEAM-K9’s service dog training program. A compliment from Glen about how we could do fantastic advanced obedience last fall also started our training journey towards our BH title. Having a trainer like Glen who can train all types of dogs for all types of lifestyles has made training a passion for Madden and I and deepened our bond in a way I didn’t think was possible! I adopted Harley when he was a year and a half old just one week after my old Rottweiler passed away. Harley was good looking and very gentle like my previous boy. He was well behaved in the house and got along well with people of all ages. He was wonderful in every way. The good time continued well into the third week and then something happened. We crossed path with a large American Bulldog in the neighborhood. The dog growled at Harley and he reacted in one nanosecond. I was pulled by him as he charged at that dog in full force. I tumbled and fell. I flipped and rolled as I was being dragged toward that dog. When Harley finally came to a full stop, I lied on the ground with grass stain and mud stain all over me. Thankfully, the owner of the other dog was strong enough to quickly pull his dog away from the situation or something unthinkable would have happened. I had four large bread dogs before but I had never encountered situation like this. I went home with injuries to a shoulder and several finger joints. Three days later, the same scene replayed in a park except this time the target was a Chihuahua. I finally realized I urgently needed a dog trainer. 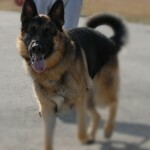 To be more specific, I needed an experienced trainer specialized in training large dogs with behavioral issues. I told my story to Glen and he immediately put us in his class the next day. After six lessons, Harley showed signs of improvement and I learned to stop him before he made the move. While we were in the class, I was amazed by the dogs doing advanced obedience training. I believed there’s more Harley and I could learn together and decided to continue our training with Glen. 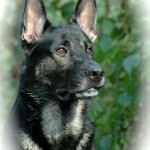 We made steady progress and are now training for IPO/shutzhund obedience and tracking. What sets Glen apart from other dog trainers is his ability to customize the exercise to target the specific issue(s) each dog and dog owner are facing. Every dog has different attitude, ability and learning capacity. One size fits all type of training won’t benefit most of the dogs. Glen’s methods effectively modify the dog’s behavior by teaching the owner how to communicate with the dog through positive reinforcement. Glen also emphasizes the importance of food, living condition, daily routine, and people interaction that have a direct impact to the dog’s behavior. My relationship with Harley has totally changed from a terrifying nightmare to a life time of partnership. Thanks so much Glen and keep up the excellent work. 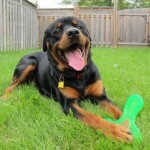 Glen is one of the Best Dog Trainiers from Mississauga. Thanks Glen for Training my Dog so well. 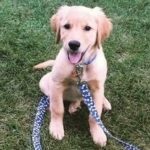 My husband and I first met Glen over 2 years ago when our Golden retriever, Larry, then 4 years old, suddenly began demonstrating some aggressive behaviour toward our toddler son. Very alarmed, I found Team-k9 and reached out to them. Almost immediately Glen returned my phone call, asked a few questions and assured me that we could change this unwanted behaviour if we worked together and followed through with his suggestions. It was very reassuring, as I did not want to give up on Larry as he is a beloved member of our family. We got a good feeling the first time we met Glen, and true to his word, with only a few sessions, and armed with the tools and knowledge we needed, we could already see the changes in Larry. 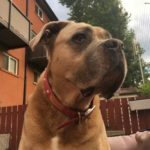 Glen helped us understand why our dog was doing what he did, and how to change our behaviour in order to see changes in our dog. And it really worked! 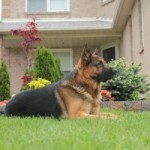 The dominant behaviour is gone and he is now gentle and tolerant of our two young boys thanks to Team-k9. But that was just the beginning….for the first 4 years of his life Larry was plagued with skin and ear infections, and generalized itching with no identifiable cause, but likely a food allergy. We affectionately called him “Larry the lemon” as he was seeing the vet so regularly. Each year he would endure multiple skin infections, often with lengthy courses of antibiotics that clearly weren’t good for our dogs’ health or our wallets! Glen suggested a trial of his raw food, no pressure, just a suggestion, to see if it helped at all with Larry’s skin and ear problems. High quality organic chicken and beef, supplied by Team-k9 is what we started feeding our dog. Larry thought he won the lottery and I’m sure to this day is wondering what he did to deserve these meals! And since we started raw food, Larry has had only ONE minor skin infection in over TWO YEARS!! (The one infection occurred around the time our toddler started eating from a high chair and throwing table scraps…go figure). NO ear infections, AND he lost weight! His coat looks great and he is acting like a pup again….never in our wildest dreams could we have predicted such a change. The only loser in this equation is our vet as they have lost a steady source of income! The transformation was remarkable, both in the behaviour and the health of Larry, thanks to Glen and Team-k9 Glen is a man of great knowledge and integrity that truly understands dogs and just as importantly, their owners. Our family is thankful every day that we made that phone call, as it truly has been life changing for us and Larry. We would highly highly recommend Team-k9 for anyone seeking help with their dogs’ behaviour, training or nutrition. Jeanette and I would like to thank you once again for the incredible training you provided us for our dog Cooper (a predominantly German Sheppard mixed breed). Cooper was almost three years old and was becoming more and more ill-tempered. Walks with him were very stressful and people were avoiding coming to our house because they feared Cooper. We know we needed help. 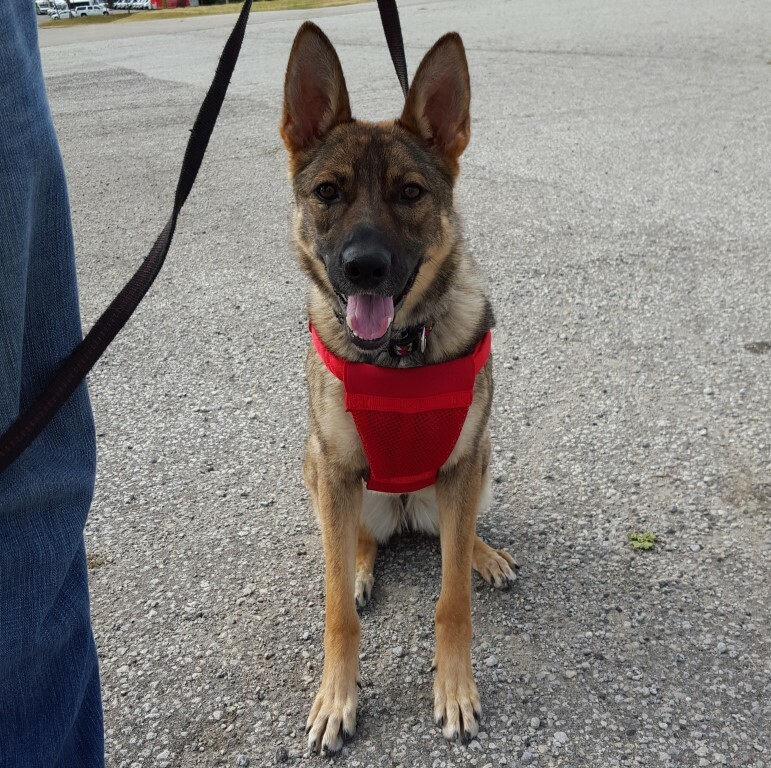 We were, understandably, skeptical at first about whether the training would help us deal with his particular temperament, but your deep understanding of dogs, coupled with your training techniques, soon put those reserves to rest. We are very happy with the progress Cooper has made after just five sessions and we will vigilantly continue to apply your methodology/training techniques in order to gain the continued trust and behaviour we want Cooper to exhibit—both inside the house with his family and outside with strangers passing by during our walks. Once again, thank you for your help and all the best. 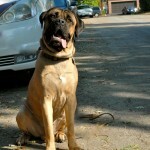 Thanks so much for your help with Charlie, my South African Mastiff. 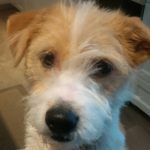 For those who have dogs with issues, I would like to tell you Charlie’s story. We adopted/rescued Charlie at the age of thirteen months. We fell in love with him immediately as we previously owned an old English mastiff and great Danes. I thought there would not be a problem. I grew up with a Newfoundland dog and feel very comfortable with larger breeds. Charlie came home with us unexpectedly as his owners were desperate to find him a home so without really thinking I let my son and daughter make the decision. Not a smart move on my part. However, it’s not one that I regret. Glen helped us out. Without him I really don’t think Charlie would be a member of our household which he is now. Let me tell you how our first days went. Day one: Charlie drags me on the ground for 10 feet after neighbours who have a stroller with baby. I didn’t let go but it really hurt. The only thing that stopped him was that my husband was just behind and stepped on his lead. The dragging on the ground continued for days with other surprises. Squirrels, Charlie again goes into dragging mode. At least this time we were prepared. Through this period it was obvious that Charlie had not been socialized as a young dog and did not know his place in the family household, his pack. He was aggressive towards all of us. He would nip, jump, growl at us when he didn’t get what he wanted. He also thought that beds and couches in the house belonged to him. He thought that he was the head of the household. This was not going to work. On it goes until we get him into a dog training class and he is kicked out on the third session. At this time I’m really worried that I’ve made a big mistake. I talk to Leo Rosenberg, my Chiropractor and also an animal Chiropractor and he highly recommended Glen. My currently 17 month old Hungarian Vizsla (Dexter) and I realized we needed an external influence to help with training both him and I when my family status changed and I came very close to giving him away. I wasn’t taking it lightly because he was a gorgeous 8-month-old puppy with potential to be a phenomenal house pet, however I felt overwhelmed with this high-drive dog. His behaviour was worsening and my tolerance level for him was nose-diving respectively. I contacted Glen from Team K9 and had about a 45-minute conversation with him about my conundrum. Glen was very understanding and accommodating. 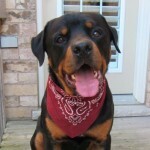 He is extremely committed to helping people understand the needs of their pets and tweaking how we (humans) relate to our four-legged companions.Thanks to Glen, his knowledge, expertise, charisma, and method of instructing, I was able to understand what was happening, change my ways and keep Dexter. 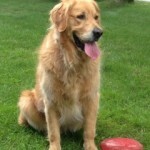 I would recommend Glen’s Team K9 services to everyone.Thanks Glen! Hi, my name is Paramjeet, my three years old German shepherd was becoming increasingly aggressive towards other dogs both on and off-leash and he was not obedient at all. It was to the point that I couldn’t control him, so walks were no longer fun. 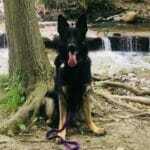 We came to know about Team K9 dog training and contacted Glen. We started taking training from him, after a few sessions we noticed that our dog was becoming more obedient and well behaved. I really enjoyed taking the training classes with you. You are a great teacher and I want to thank you for helping me transform Tyson into a happy follower and a fun member of the family. When Shadow was a puppy, he was a challenge to work with. He would always pull and disregard me when we were outside, and would become very possessive of every toy, making it difficult and unenjoyable to exercise him. Basic obedience training gave us the foundation we needed to communicate with each other. But it was protection and tracking that taught us how to work together. The training gave Shadow a sense of purpose. It allowed him to focus his energy into something productive rather than destructive. Through play, a bond developed between shadow and I. He displayed immediate behavioral changes making him more enjoyable to work and exercise with. 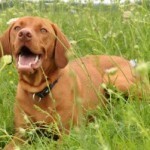 The mental and physical stimulation he receives from protection and tracking makes him a happier and more driven dog. Thanks Glen, for showing me the type of individual changes that need to occur in me for Shadow to become the dog I want him to be, and for the continual support through his lifelong learning process. Through your help, Shadow really has become my best friend.. I have been purchasing raw meat for my dog here for over 7 years. As a puppy, my dog was on a kibble diet and was constantly sick. I found myself taking her to the vet very frequently as there was always blood in her stool. Worried sick and not knowing what to do, I did a lot of research on the raw meat diet after someone had suggested it to me. This was the best decision I ever made because it instantly changed her health, vitality and general energy level! I decided to go to Glen because he offers the best price in the area and the absolute BEST customer service. He is accommodating and always does his best to provide me with the highest quality products. Glen has a variety of meat options and Autumn (my dog, 9 years old) loves all of them. 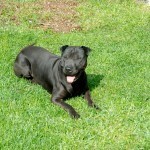 People often think she is much younger than she is because she is very energetic and has a gorgeous coat! I truly believe this is a product of the raw meat diet and I often try to encourage all my friends with pets to adopt this healthy option for their fur babies. I recommend Team K9 to all pet owners! I always fed my dogs kibbles in the past. I was aware the benefit of raw diet but didn’t know where to find the quality food at a reasonable price. Through a friend’s recommendation, I started to purchase organic ground chicken meat from Glen. He explained how to feed the food in conjunction with an exercise routine and balance life style. It’s been more than a year since I switched to Glen’s raw dog food. I must say I cannot be happier to see my dogs becomes healthier and more energetic. No more bad breath, teeth look great, skin allergy is gone, coats are shiny! In addition to chicken meat, I also buy turkey necks, lamb bones and salmon skin to supplement my dogs’ diet. Whenever I have a question about the feeding, the answer is just a phone away. Glen is always there to help. Thank you so much Glen. Woof! I’m Harley! The first time my mammy put SIMPLY-RAW in my bowl, I finished my meal in record time. My skin feels good. My coat is shiny and soft and it no longer feels oily. My teeth are spotless clean. I used to poop a lot and it was soft and smelly but not anymore. Before SIMPLY-RAW, my mammy was allergic to me. Her skin turned red and was very itchy after I touched her. I’m so happy now that I get a lot of hugs from her. 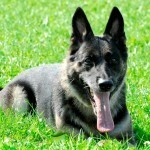 Hi i’m KIRA 9.5 years healthy German Shepherd eating raw from simply-raw. My dad feeds me turkey lamb chicken beef goat sometimes eggs with some veg, I warned him never to mix my meats because in the wild my cousins would not hunt different prey at the same time? And hey my coat is still shiny bright beautiful eyes and my k9′s are really white and strong, you all should try simply-raw. 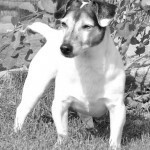 Hi i’m sparky 11 year jack Russell terrier, and I started out eating cardboard in a bag then my folks introduced me to raw food from simply-raw, it’s the best thing since slice bread you should try simply-raw very good stuff. Hi, I’m KAI at 7.7 yrs and my dad introduced me to SIMPLY-RAW 7 years ago and i love it! my coat is shinny and soft, my teeth are pearly white, i still has the energy of a 2 year old and when i’m playing with my friends they can’t keep up with me, i say to them you should try SIMPLY-RAW. Hi i’m Rihno, I started eating raw food from SIMPLY-RAW at the tender age of 4 months, From a puppy i had skin issues that was becoming difficult to deal with scratching all day my skin was bleeding. My folks was not sure what to and a friend of the family told them to try RAW MEAT because that’s what we should be eating well i’m glad they contacted Glen @ SIMPLY-RAW. He advised them on the benifits of feeding a RAW DIET and roughly 9 weeks later everything changed look at me today, if you guess how old i’m in this pic the coffee is on my folks thanks RIHNO.